The only pocket Ephemeris updated every year. The World's oldest and most accurate Ephemeris through 100's of years. 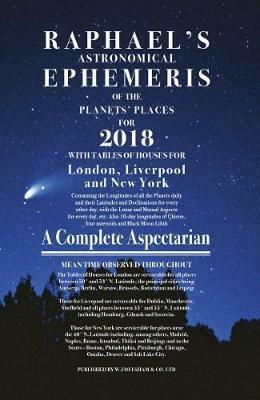 It contains a complete Lunar and Planetary Aspectarian with daily longitudes of all of the planets and tables of houses for London and New York. This is the companion an astrologer needs to navigate the year.